PRETORIA – President Yoweri Museveni has Monday, March 25, left for Pretoria, South Africa for a two-day Southern African Development Community (SADC) Saharawi Solidarity conference. 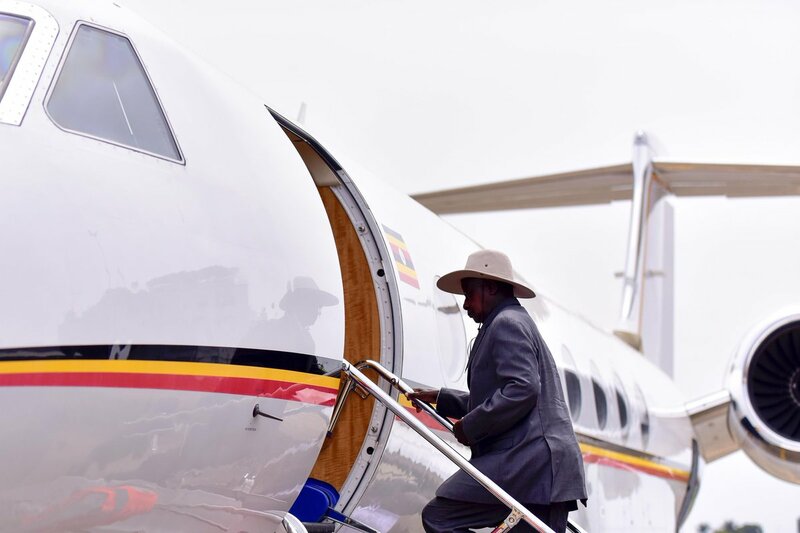 “(President Yoweri) Kaguta Museveni has left for South Africa’s city of Pretoria for a two-day SADC Saharawi Solidarity conference,” a statement from his office confirmed. SADC has convened a solidarity conference with the Saharawi Arab Democratic Republic (SADR) running from 25 to 26 March 2019 in South African capital, Pretoria. The 38th Ordinary Summit of Heads of State and Government of SADC approved the convening of a Conference on Solidarity with the Saharawi people. During the Solidarity Conference, the SADC Heads of State and Government ware expected to express the region’s support for decolonisation and self-determination for Western Sahara on the basis of the values and principles that have guided the quest for independence throughout Africa. SADC’s collaboration on and with Western Sahara has been informed by the region’s own decolonisation experiences and the quest for liberation and self-determination. The Solidarity Conference is expected to conclude with the adoption of a SADC Regional Strategy and a Declaration which will among others, establish mechanisms to engage relevant stakeholders and partners including Morocco, to observe the spirit of African Union (AU) decisions and United Nations resolutions in order to expedite the resolution of the Western Sahara matter. The conference also expected to give support to Saharawi Arab Democratic Republic (SADR) right to self-determination and independence based on the principle of self-determination and decolonisation, through the holding of a referendum. Western Sahara is a Non-Self-Governing Territory of the UN that lies in the Sahel region bordered by the Kingdom of Morocco, Algeria, and Mauritania. The Moroccan occupation was triggered by November 6, 1975, Advisory Opinion of the International Court of Justice stating that there was no “legal tie of territorial sovereignty between Western Sahara and the Moroccan State”.